The tale of how the Central Pacific Province's Leetta Hammack, SSND became a Sister involves a tragedy, a dream and God’s call, all of which add up to a story of hope, excitement and internationality. Sister Leetta joined the School Sisters of Notre Dame in 1963, and after her initial formation taught for two years in Linn, Missouri. She then trained as an occupational therapist, assisting the elderly sisters at Villa Gesu for 17 years. She moved to Tierra Del Sol in California and taught art classes before returning to St. Louis as community leader at Sancta Maria in Ripa. 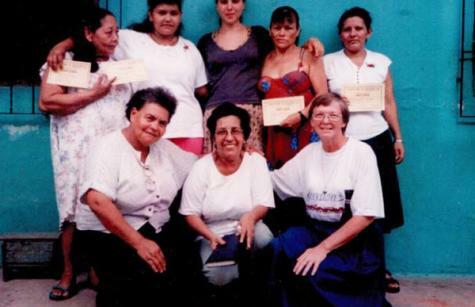 “I had a long time desire to minister in Honduras and while recuperating from the accident realized that the time had come to go there,” Sister Leetta said. “The following year, I began to take steps with community and leadership to respond to a call to Honduras." Read the rest of Sister Leetta's story on the Central Pacific website.